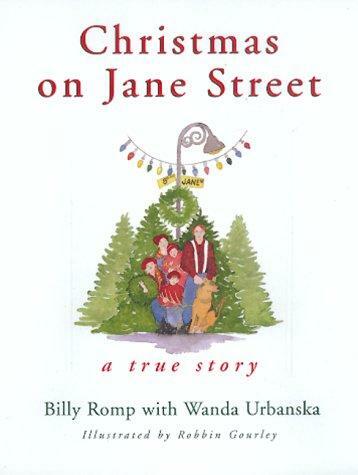 Christmas on Jane Street by Billy Romp with Wanda Urbanska is a heartwarming true story written by a man who raises Christmas trees in Vermont. Every year Billy Romp, his wife, and three children haul their trees to Jane Street in Manhattan where they set up shop. Their Christmas tradition is far different from most others because of the fact that they are the people who sell the trees around which the purchasers will orchestrate their own Christmas every year. This story centers on the relationship between Mr. Romp and his adolescent daughter which undergoes a change one year while they are selling their wares. It is one which changes Mr. Romp’s thinking forever. The story is engaging and touching. I recommend it! This entry was posted in Uncategorized and tagged Billy Romp, Books, Christmas, Christmas on Jane Street, Christmas trees, Manhattan, New York, Wanda Urbanska. Bookmark the permalink.